Depreciation – now every reason to claim and no reason not to! Over recent years a couple of things have held many investors back from claiming their full depreciation entitlement, and accountants from recommending it. The thought of having to repay a majority of the depreciation through depreciation recovery when selling. BUT these two hurdles have been removed leaving very little downside to claiming your full depreciation entitlement. As was widely forecast the Government removed the ability for property investors to claim building depreciation in the Budget, commencing April 1 2011, whilst still allowing the depreciation on Chattels and Fit-out. The big benefit is that it removes the risk of being hit with a big depreciation recovery bill when you sell the property. In the past this has seen many investors claim little or no depreciation, but no longer. The chattels and fit-out can in most cases be proven to reduce in value and therefore recovery on these items will be removed or significantly reduced. 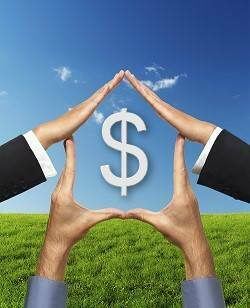 As a Commercial Property owner are you unsure of recent depreciation changes? Here are the answers for YOU – No depreciation – NOT CORRECT !! Many property owners mistakenly believe that with the changes announced in the 2010 budget, specifically the depreciation rate on buildings reducing to zero, that there will be no depreciation deductions available for their property. While this is true for the “building”, there will still be depreciation available on the “fit-out” component of the property as well as “plant & equipment”. How much depreciation will be available will depend on their respective values and which option you choose. The option you choose will have a major impact on your cash-flow so it is important that you understand them.